At the beginning of the 19th century, there were several carmakers in Germany and one of them was August Horch, founded in Cologne on November 14th, 1899. August Horch is considered to be one of the great developers of the automotive industry. He worked for Karl Benz for three years before establishing his own company to which he gave his own name - Horch. July 16th, 1909, is the date when August Horch created the automotive manufacturing company Audi. Since he had already given his own name to his previous company, he needed something new and the name he chose was Audi. 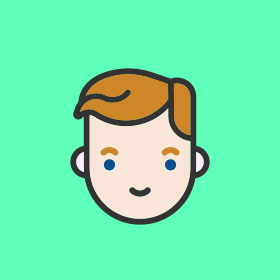 Nevertheless, the name was the translation of his own name into Latin (‘listen’ in Latin). Audi Automobilwerke GmbH started operations in the town of Zwickau on the 25th of April, 1910. In 1885 Johann Baptist Winklhofer and Richard Adolf Jaenicke started a bike repair shop in the city of Chemnitz. A few years later in 1896, they also went into production under the name Wanderer Fahrradwerke AG. 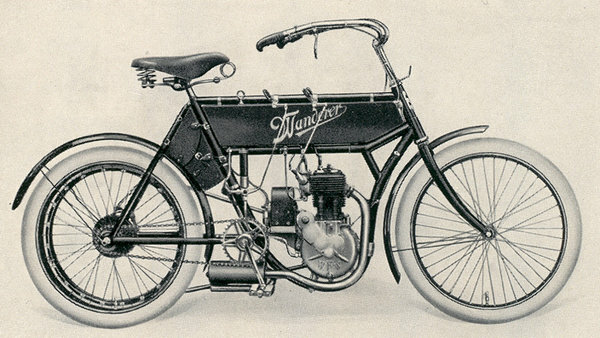 In 1902, the company built their first motorcycle and by 1913 the first car was completed. It was a small, two-seater called Puppchen that put Wanderer on the map as a car manufacturer. The company was initially named Rasmussen & Ernst and founded in 1904, also in Chemnitz. However, in 1907 it moved to the Erzgebirge region. At first the company produced mufflers, fenders and lighting solutions for various motor vehicles. DKW founder Jörgen Skafte Rasmussen started experimenting with his own steam engine powered vehicle in 1916, when he registered the brand DKW and called his company Zschopauer Motorenwerke. 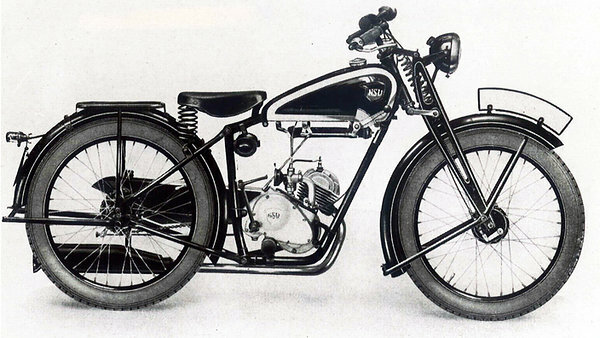 Success came at the end of the 1920s, when the first DKW motorcycle was launched on the market. On June 29th, 1932, Audiwerke, including Horch, merged with DKW and also entered into an agreement with Wanderer to take over their automobile department. The merger made Auto Unionist the second largest automobile manufacturer in Germany. The logo of the company, four circles joined together, symbolised the unending unity of the four merged companies. Each former company became responsible for a section of the new united company – DKW was responsible for motorcycles and small cars, Wanderer for medium sized cars, Audi for the medium sized luxury cars, and Horch for the high quality and high-end luxury cars. The following times were complicated in Europe, which meant that production was also overseen by the Soviet authorities. In 1949 production moved to Ingolstadt and the manufacturing of two-cycle motorcycles, automobiles and utility vehicles continued. In 1965 the company came out with the first vehicle with a four-cycle motor, which also made it their first model after WWII. The same year, the company became part of the Volkswagen Group. NSU Motorenwerke was founded in 1873 and initially manufactured sewing machines. However, by 1886 they changed directions to manufacturing bicycles and in 1901 began making motorcycles. 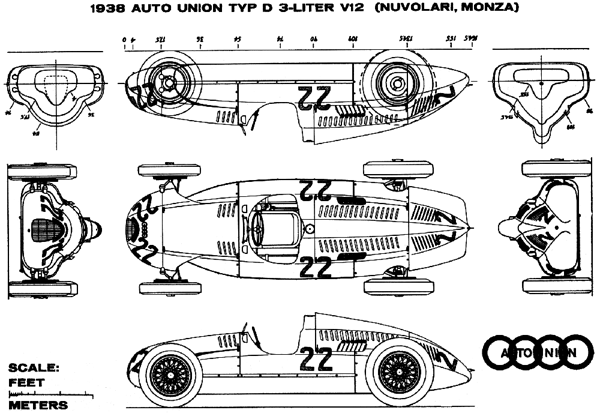 This fast development gave the company a major boost and a year before joining the Auto Union, they were also planning automobile manufacturing. In 1977 the last production rolled off the NSU line and from that point on, all members of the union only made cars that carried the Audi brand, which was given its final name and visual expression in 1985. From that time on, they used simply the name Audi. However, the historic and original four intertwined circles have remained to this day.